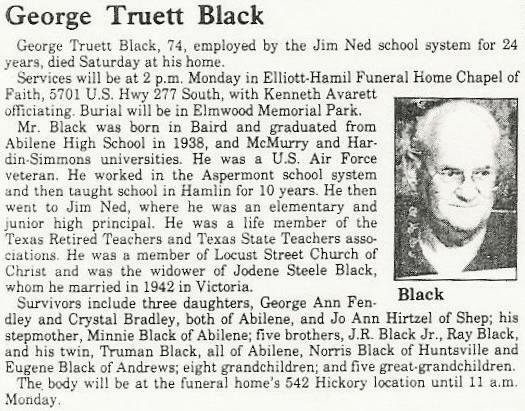 George Truett 'G.T.' Black, son James Robert Black and Mary Ada Eubanks, married to Jodene Steele and buried in Elmwood Memorial Park Cemetery, Abilene, Taylor County, Texas. First Jim Ned Consolidated Independent School District Grade School Principal. (1957-1981).